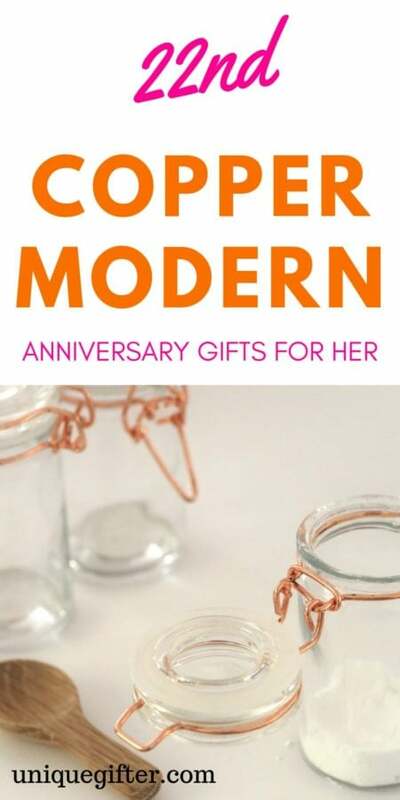 Celebrate these 22nd Copper Modern Anniversary Gifts For Her! Copper may not be the “prettiest” metal, but there have been some beautiful things made from it, as you can see from this list. 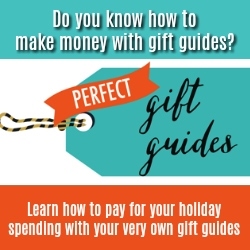 I was surprised how many amazing gifts I discovered! 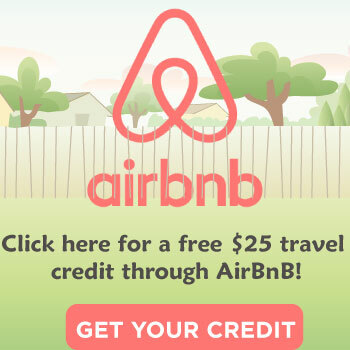 Just check them out and see what your wife will enjoy the most. 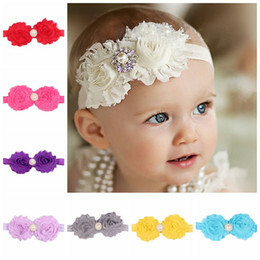 She is going to love them all! 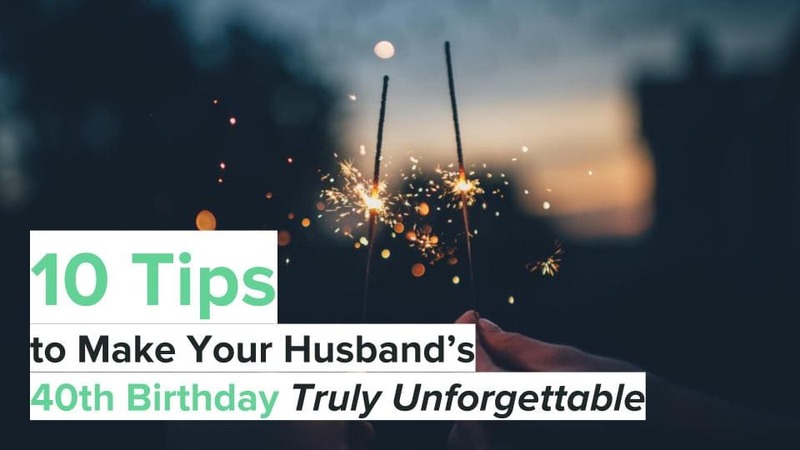 There is such a terrific variety of gifts to choose for your wife. Take a look. 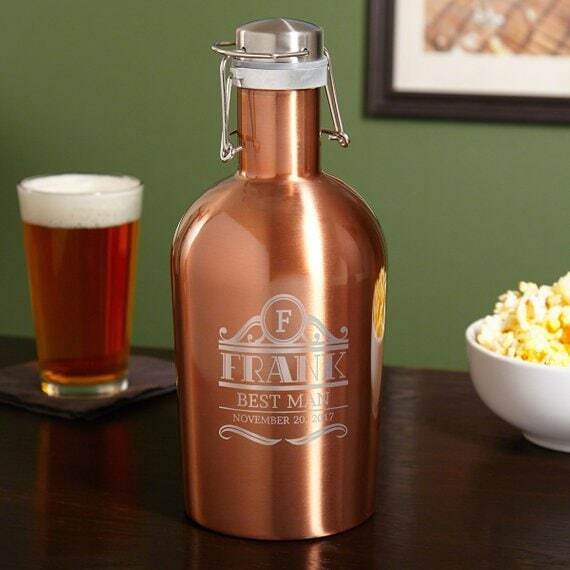 For the beer-loving wife, this personalized stainless steel beer growler with copper tone finish is a great gift choice! She will love that it was so well thought out and something she can use. 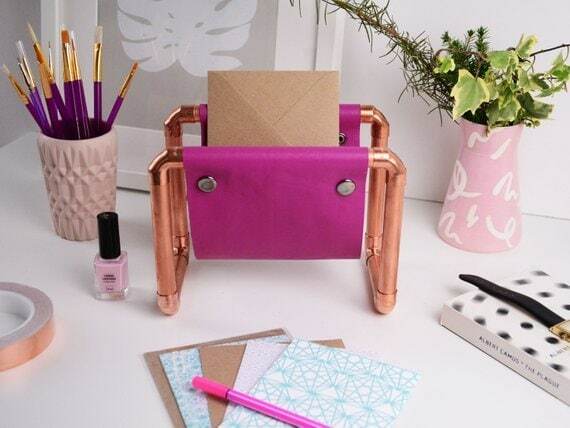 If she spends a lot of time at a desk, or you two have an entryway table, the copper mail rack is a great place to keep mail and other essential things. 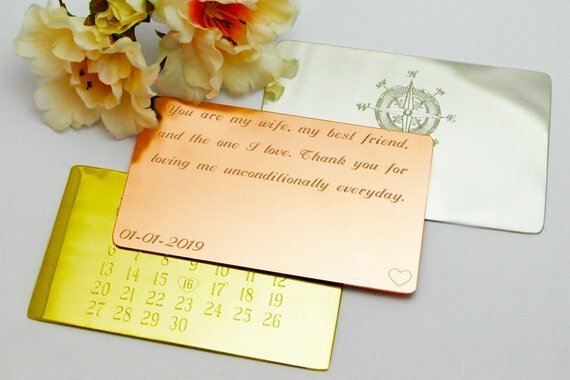 Put a loving quote on this engraved copper wallet insert, and she can carry it with her wherever she goes. 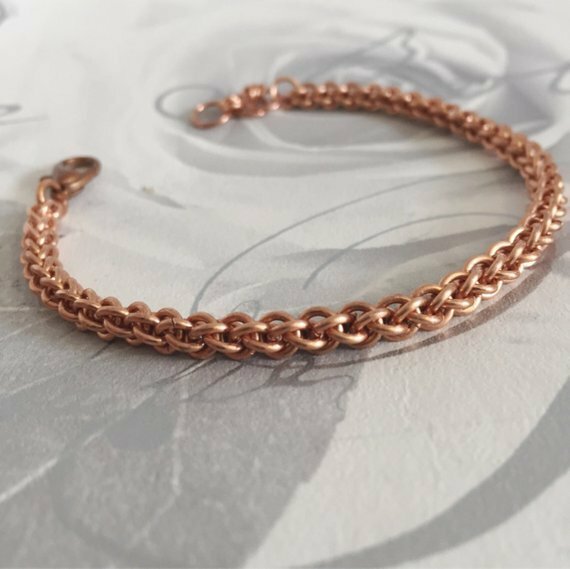 This chain maille cuff bracelet will be such a fantastic bracelet to grace her lovely wrists. 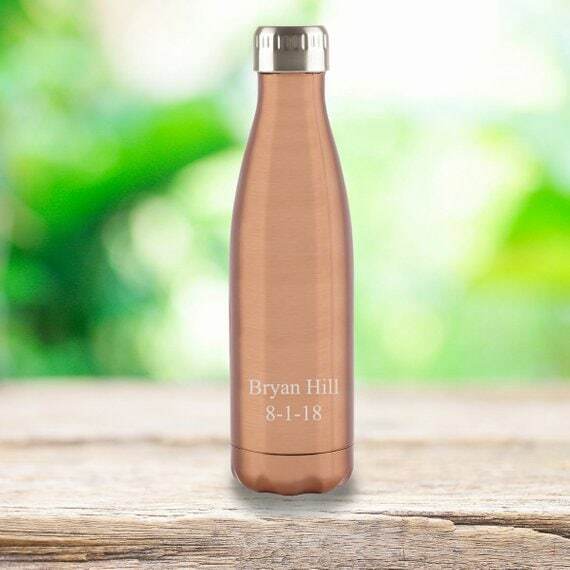 Helping your wife stay hydrated with her own personalized copper stainless steel water bottle is a loving gesture! 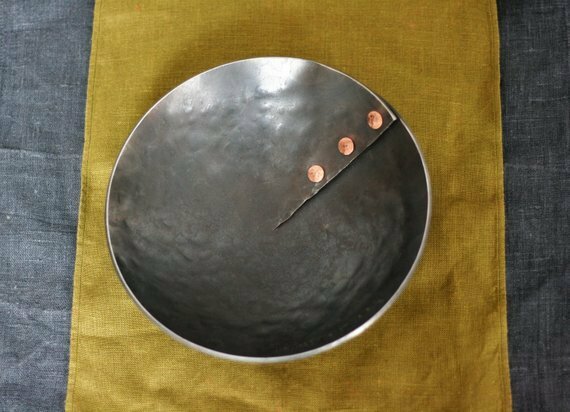 Great for jewelry, or for keys and other odds and ends by the front door, the iron bowl with copper rivets is durable, just like your marriage. 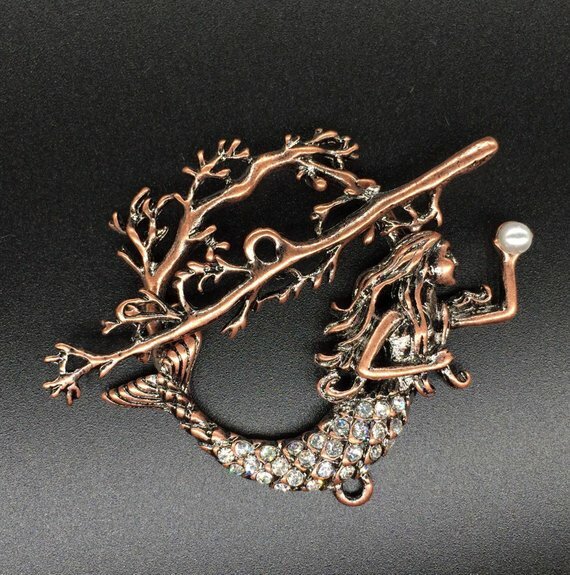 If she has a thing for mermaids, the copper mermaid tail necklace charm will soon become her favorite! 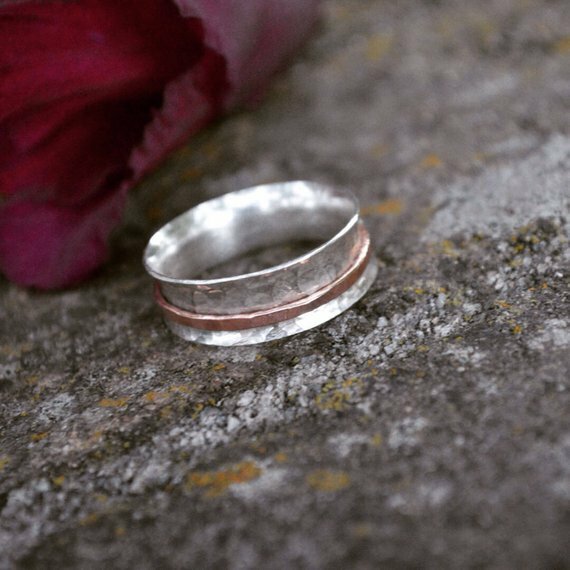 The silver and copper ring spinner ring is pretty simple, yet a powerful statement and a great reminder of the two of you. 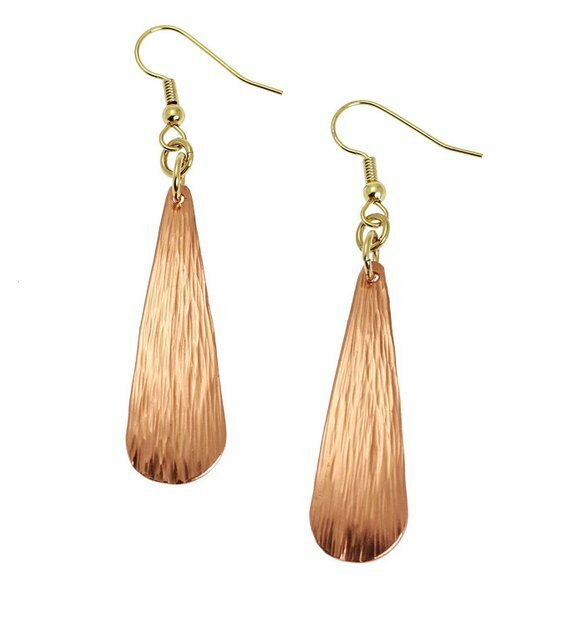 These beautiful long bark copper teardrop earrings will look absolutely stunning on her ears. 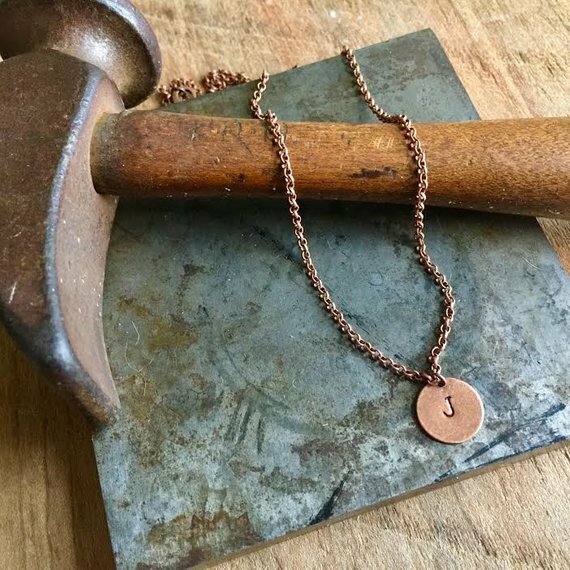 A personalized copper hand-stamped initial necklace will show her that you put thought into her gift, but it is also something that is simple and elegant. 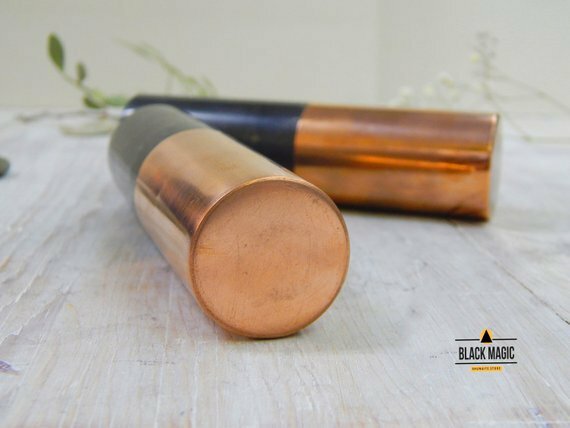 For the music lover, a Shungite stone with copper cylinder harmonizer will surprise them in a good way. The tree of life is a symbol of how vital life is and how tied to our family tree we are, and as a married couple, that is very important. 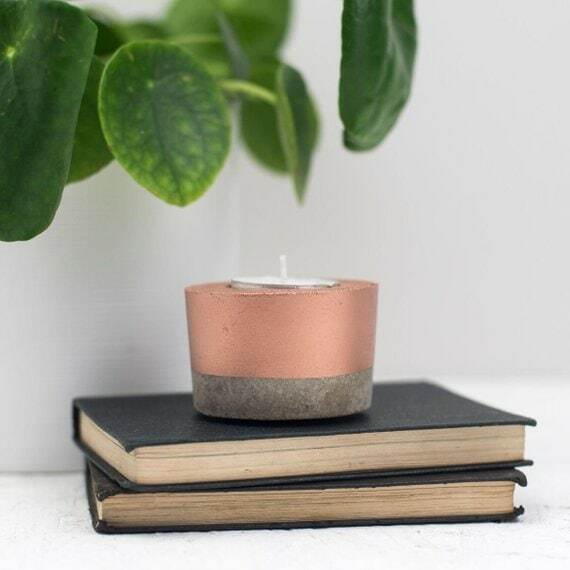 If your wife loves candles, a concrete and copper candle will delight her. 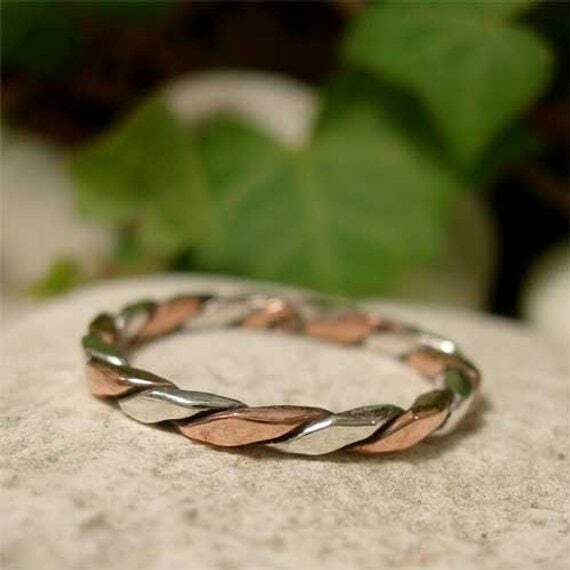 The mixed metal, copper and sterling silver, stacking ring could symbolize how your life together just grows and grows. 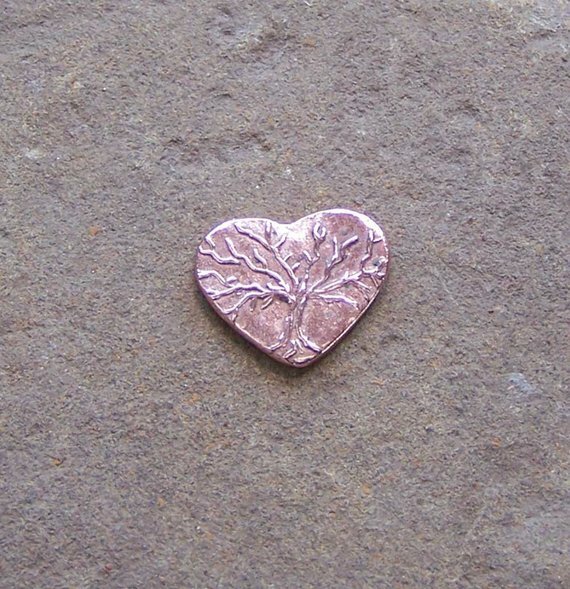 Another lovely tree of life gift, a copper heart charm. She can wear the strength of the tree of life close to her heart. 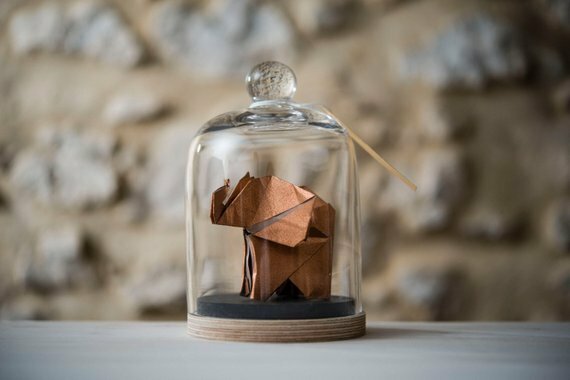 A stunning piece of decoration, the copper origami elephant sculpture will look great wherever she places it. 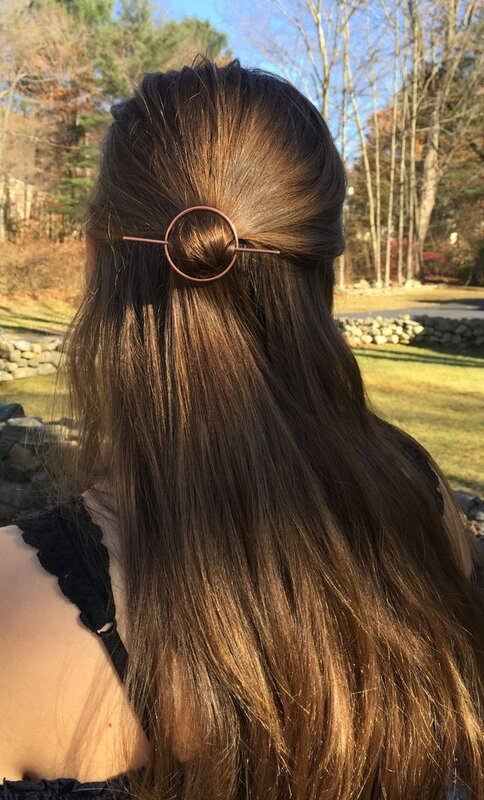 When her hair is always getting in her eyes, and you just want to see her beautiful face, a circle copper hair clip is the best choice. 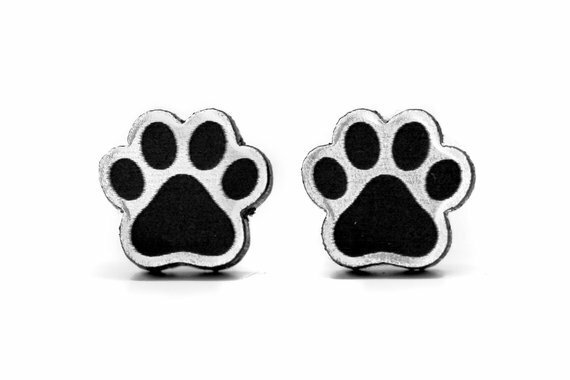 So many lovely women love cats, that’s why the silver and copper little cat earrings are such an amazing gift. 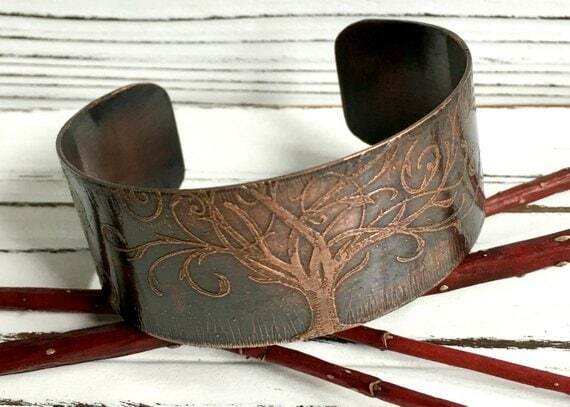 Another tree of life gift, the copper bracelet will be her constant reminder of how healthy your marriage is and that you can get through anything together. 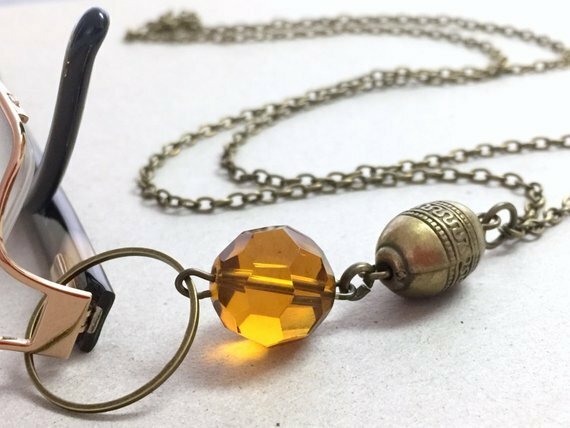 She can use this lanyard to attach to her glasses or her work id card. Either way, she will be stylish with the antique gold and copper combination. 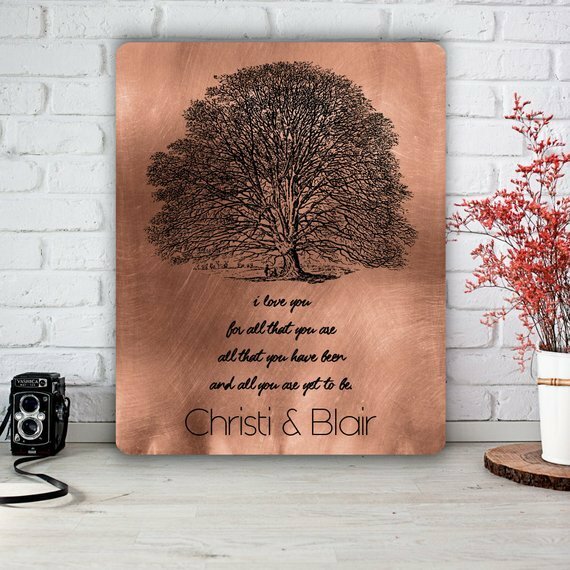 As you can see from this awesome list of copper anniversary gifts, copper makes for some lovely choices!